On 2 November 2011, Metropolitan Hilarion of Volokolamsk, chairman of the Moscow Patriarchate’s Department for External Church Relations (DECR), visited the St. Petersburg Theological Academy with the blessing of His Holiness Patriarch Kirill of Moscow and All Russia and at the invitation of Metropolitan Vladimir of St. Petersburg and Ladoga, and discussed the upcoming Great and Holy Council. Metropolitan Hilarion met with the members of the Academic Board, faculty and students of the Academy. Attending the meeting were Archbishop Ionafan of Tulchin and Bratslav and Bishop Amvrosiy of Gatchina, rector of the St. Petersburg Theological Academy and Seminary. Metropolitan Hilarion is accompanied by the DECR vice-chairman, hegumen Philaret (Bulekov); archpriest Vladimir Shmaliy, vice-rector of the Ss Cyril and Methodius Postgraduate School; and Director of the St. Gregory the Theologian Charity, Leonid Sevastianov. Bishop Amvrosiy of Gatchina introduced Metropolitan Hilarion to the audience and enumerated his scholarly titles and degrees. 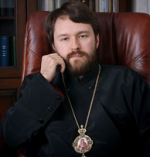 He said that the Academic Board of the St. Petersburg Theological Academy and Seminary decided to confer a title of doctor of theology honoris causa on Metropolitan Hilarion of Volokolamsk in consideration of his numerous theological transactions and his extensive scholarly and theological work. Archpriest Kirill Kopeikin, secretary of the Academic Board, read out Metropolitan Hilarion’s curriculum vita, and Bishop Amvrosiy of Gatchina handed a cross and diploma of the doctor of theology to Metropolitan Hilarion and gave him a book with a dedicatory inscription of Metropolitan Vladimir of St/. Petersburg and Ladoga. The DECR chairman thanked the Academic Board for the privilege of being made doctor of theology and delivered a lecture, which he dedicated to the memory of Metropolitan Nikodim. Metropolitan Hilarion spoke of the inter-Orthodox cooperation in the preparation to the Holy and Great Council of the Orthodox Church, the pre-Council process and expectations. He noted that preparations for the Great and Holy Council cause bewilderment in certain circles. 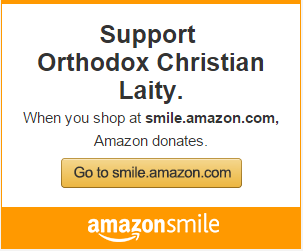 Some marginal mass media launched a campaign against the convening of the Council, while some websites misinform the public by citing the sayings of the Holy Fathers arbitrarily taken out from the context. The believers are frightened that the Council will be an “anti-Christ” council as its decisions would run contrary to the teaching of the Church, its dogmas, canons, and rules. “Such arguments have no ground and indicate the lack of knowledge or a deliberate distortion of historical facts and the tradition of the Church,” Metropolitan Hilarion said. Metropolitan Hilarion hopes that in case the Local Orthodox Churches surmount internal differences and ‘with one heart and one mouth’ witness their inherent unity, the Great and Holy Council will be an important and remarkable event. 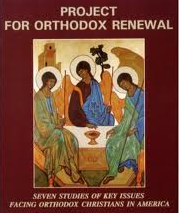 ‘Undoubtedly, it will strengthen Orthodox cooperation and will help to formulate and voice the pan-Orthodox position on a number of topical issues, thus consolidating the Orthodox Church and making it capable of meeting the challenges of the time. The Holy and Great Council of the Orthodox Church could be a real Triumph of Orthodoxy provided that convictions, traditions and views of all Local Orthodox Churches are taken into account in the spirit of brotherly love and mutual respect,” the DECR chairman said.